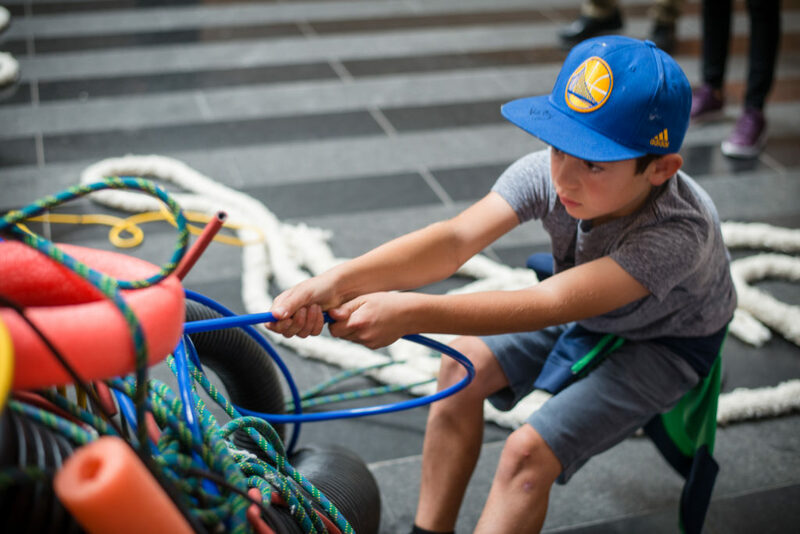 Performance All Ages invites you and your family to join us for a day-long exploration of peacemaking throughout the museum and the finale of User Agreement, a month-long project with artist duo Lucky Dragons. Wander through the museum and discover a theatrical presentation, unfolding in five acts, across five different locations. User Agreement examines methods and tools we use to generate peace on many scales, and considers how we can better address issues from global conflict to interpersonal quarrels. From punk to prep, clothing has the power to help us recognize and build bridges between like-minded people. 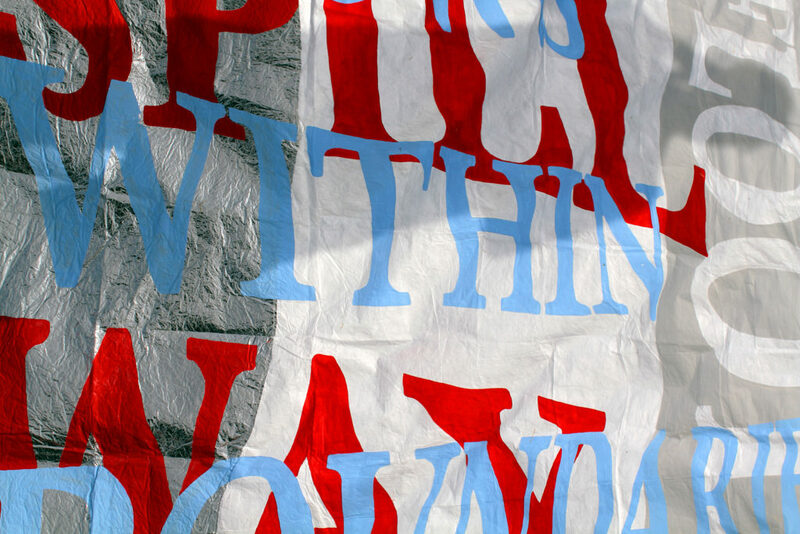 Join us for a drop in workshop from 11 a.m.–3 p.m. that investigates the role of self-presentation in peacemaking, organizing, and resistance through garment-making. For further research into technologies of peace, visit User Agreement. Discover new web-based artworks by Lucky Dragons including The Problem Solver, an audio piece that examines strategies for peacemaking; Accord, a scrolling treaty collection; and World Unanswered Question, an open and ongoing repository for questions that welcomes visitors to contribute a question. 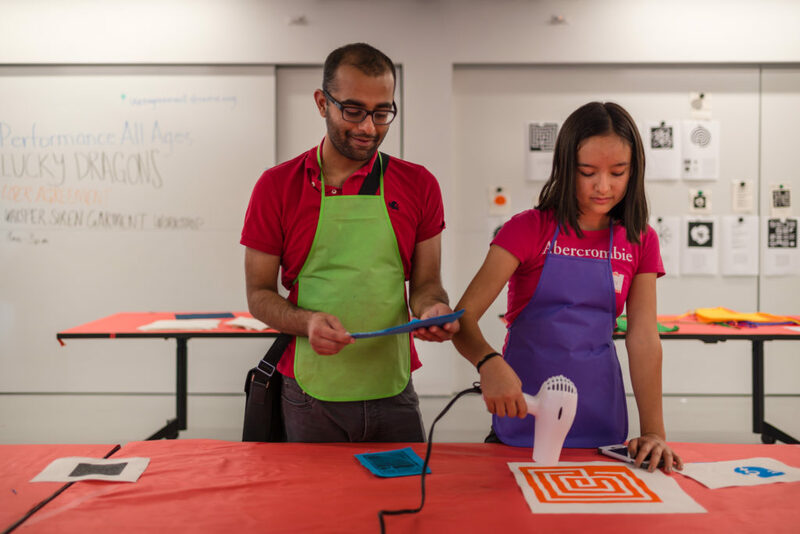 Free Family Days are generously supported by the John & Marcia Goldman Foundation. Saturday, October 1, 2016, 11 a.m.
Sunday, October 9, 2016, 11 a.m.
Sunday, October 16, 2016, 11 a.m.